GB Ended! Now to production! The final look and feel will be close to this. 3D render of a poker-like keyboard with Icon modifiers. And with Text modifiers, red WASD and RGB mods. If you like this set and want to help spreading the word, follow these instructions http://geekhack.org/index.php?topic=56354.msg1277510#msg1277510 and add a link to this page to your signature! Please read carefully the whole post! The full set is in PBT material (arguably the best for keycaps) including the spacebar. Legend are dye sublimated. 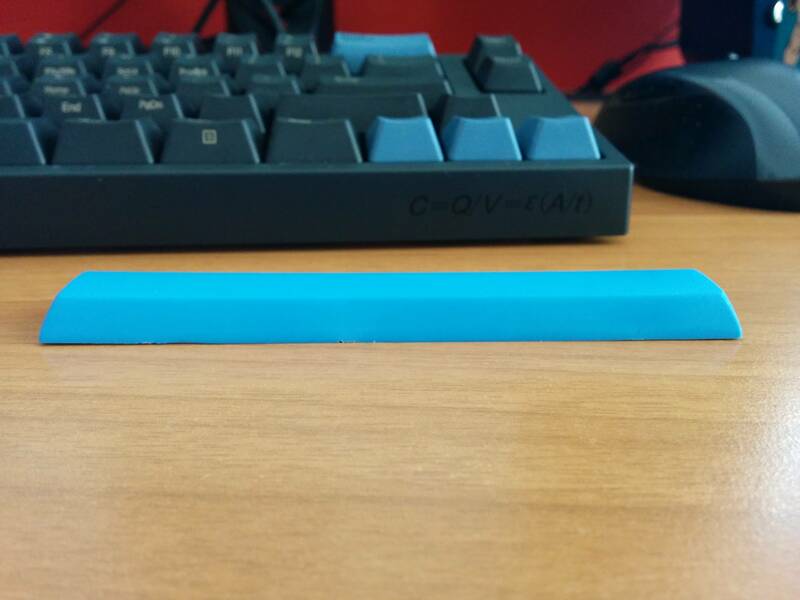 Keycaps thickness is very good. 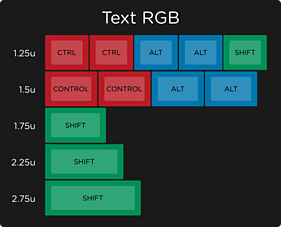 Look at this picture, the blue key is PBT. SP did a really fine job with the PBT spacebar. It's definitely one of the less bent I've seen so far. 6.25u spacebar (the standard one) is included in the "Common kit", but you may want to grab an additional one. 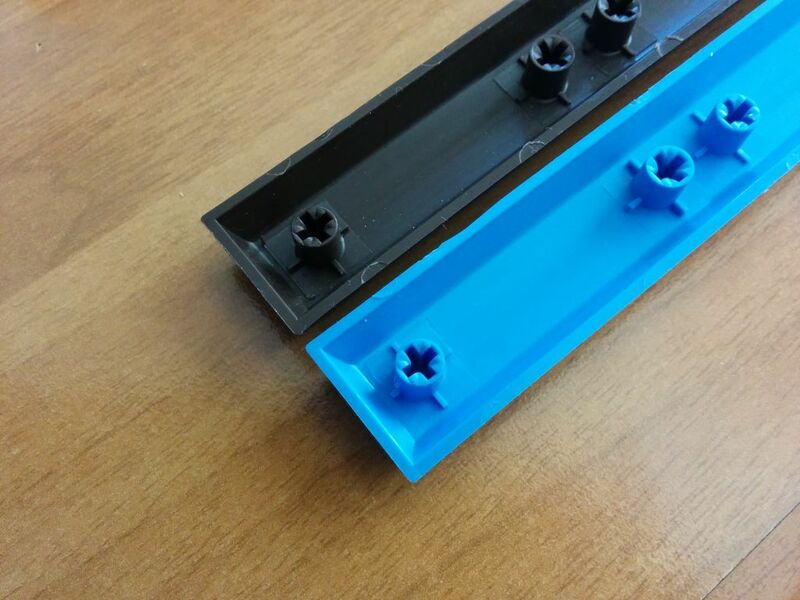 If you need 7u spacebar you have to grab it separately (it is not included in any other set). We do not have an universal spacebar. The keycaps profile is DSA. It's a low spherical top profile. The height of the keys is approx the same as DCS Row 3, but it's thicker. 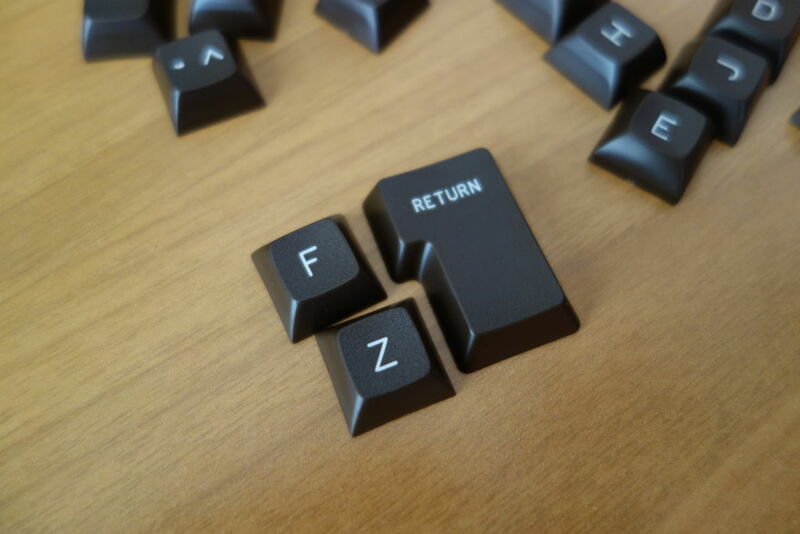 All keys are on the same row meaning that you can put any key in any position making it ideal for custom keyboards and less common layouts (colemak, qzerty, ...). Color is pure gray. 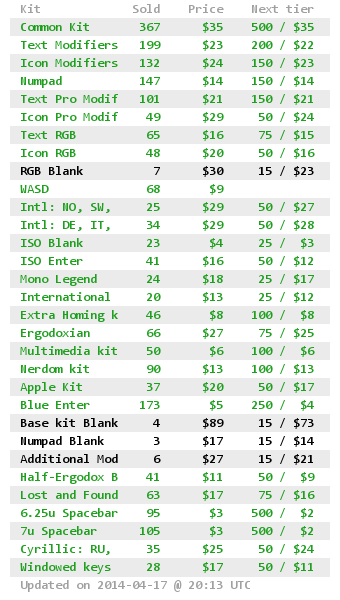 The base color codes are GKK + GDE. ISO Enter is in DCS profile. 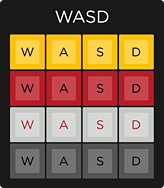 SP doesn't have ISO Enter in DSA, but the DCS one works pretty well. 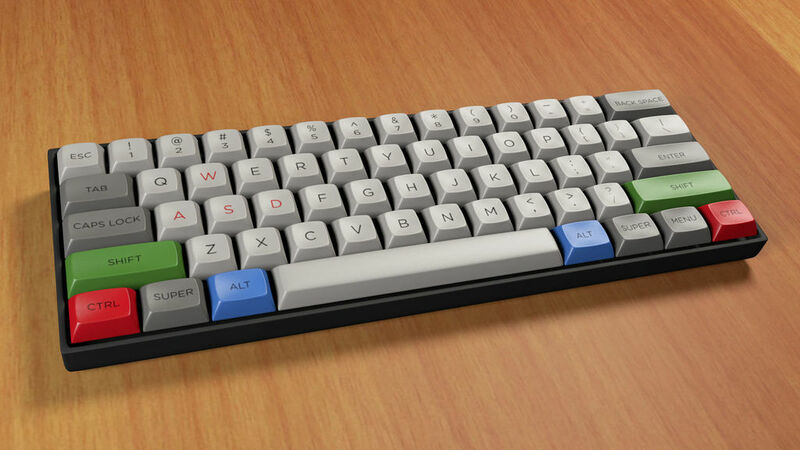 Here is the DCS ISO Enter close to DSA keys. Number of keys and their size are final, but legend color, positioning and thickness may change a bit. Also the Nerdom kit may see some different legends! The Group Buy is handled directly by Signature Plastics (the keycaps manufacturer), this should grant an overall better buying experience and better pricing. The system is still relatively new, if you encounter any problem please contact SP directly! How and when my money is taken from Paypal account? Funds on Paypal are placed "on hold" for the maximum value of all the kits you ordered but they are not actually taken from the account. When the Group Buy ends only the real, final value is billed. If you don't like the DSA profile, this whole set or SP ordering system please refrain from thread crapping. Simply don't buy! You may discuss any of those arguments elsewhere on this very same forum. Thanks. What kits do I need? 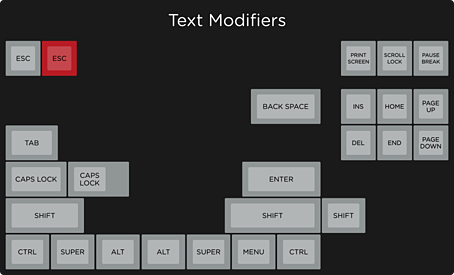 All modifiers are available in TEXT and ICON variants. Choose your fragrance and grab one (or both) of the Icon or the Text modifier kits. 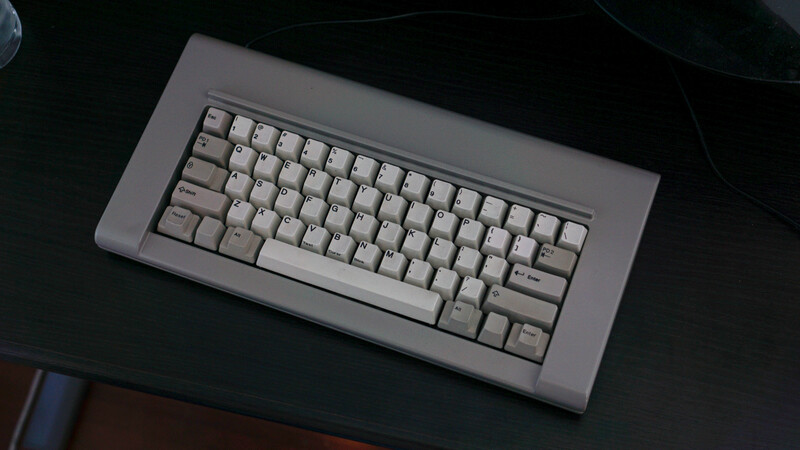 You now covered a Tenkeyless keyboard (such the Filco Majestouch). 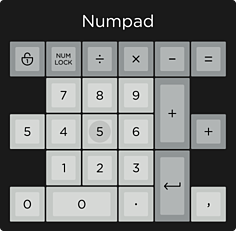 If you have a full standard keyboard, take the numpad too. 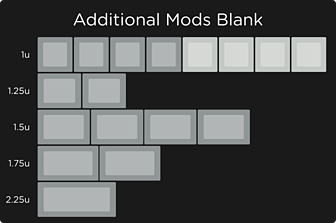 They will cover less common layouts (1.50u modifiers, KBT Pure, etc...) and they include keys to swap Caps lock with control or FN. I highly suggest to grab one Pro kit! Being the keyboard pure gray a bit of color may help break the boredom. The Blue Enter is a nice little addition to the mix. Let's try to reach high tier on the Nerdom kit, 18 Novelty keys to feed the nerd in you. Granite set supports 11 languages! First of all get an ISO Enter. The 1.25u shift is included in the base modifier kit, the Alt Gr (if you need it) is in the Pro kit. Then pick the kit which includes your lingo. The Granite set is one of the few with a full legended Ergodox kit. The full Ergodox experience is: Common Kit + Text modifiers + Ergodoxian (and eventually add 1 half-ergodox kit for some blanks). It should include approx 70% of your keys, all that you miss can be covered by the Half-Ergodox Kit. 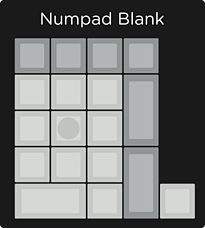 If you only want blanks on your Ergodox remember to grab two of these! More keys if you hadn't enough. Remember the Apple kit if you are a Mac user and the Extra Homing to cover less common keyboard layouts! The extra homing also includes a homing arrow key extremely useful in case of 65% and 75% layouts! Last but not least, for all the otakus out there, here come the blanks! 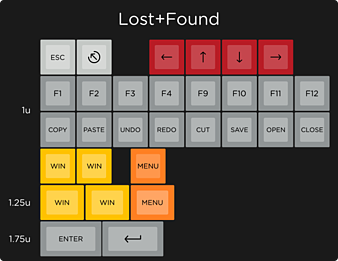 You can now also add a keypuller to your order. Both wired and plastic keypullers are available but if you need it I strongly suggest to get the wire one! 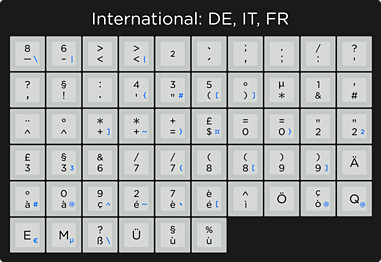 Will there be additional keys for people using Colemak and Dvorak? If so, I'm totally in! Sorry if I missed in the other thread, but can you show the thickness of these caps? 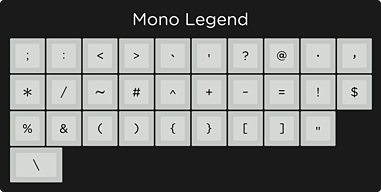 All the keys have the same profile, then you can move any key around, and there will be a set with extra homing keys. Just check if they fit your preferred layout. Awesome, but what about things like additional backspaces to replace caps lock on colemak? This is one great looking set. matt3o has really outdone himself on this one. 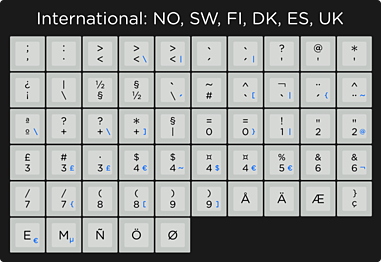 You may use one of the alternate 1.75u keys in the icon pro set. SP does windowed keys now?! I've been following the IC - the amount of work he has put into this is unbelievable. But it has all paid off! I'm reading that DSA caps are quite tight on the stems. My paypal account is locked and loaded. If today had been a hippo, then you'd really have to worry about tomorrow. I'm really into Topre and would like to minimize MX stuff but I can't resist the pull of this color and that it is PBT! Oh man!! Thanks for pulling this together matt3o - I've been following in IC thread as well and appreciate the community input to make this happens. I KNOW! Ha ha.. So I'm just buying and putting them on displays. Lol. Just wait for the Topre sliders that are compatible with MX keycaps! Best of both worlds. interested! looking forward to a numpad kit to go along with it. 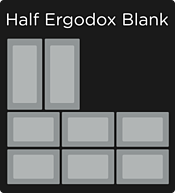 I would like to thank the community for the ergodoxian option. nice one....personally, i ain't too hot on the icons, even though they're very well thought out. maybe i'll add them - depends on the pricing. I simply haven't seen anything like them, so I have to get them. I really wonder how much this set will end up costing. Hopefully I can afford it... would be nice to try DSA. Not bad, not bad. Will probably need some extra kits though! Cool! Nice-looking kit AND with russian/ukrainian variant. Hmmm... I'll be waiting for this. I know I will. Updated first post. Now just waiting for SP green-light. I have some question about first post - if I want russian layout, i need to buy common kit + cyrillic kit? Jr there are some other variants? yes, you need the common kit anyway. Common + cyrillic + text or icon mods. What do you mean by "other variants"? Like if common kit will be in cyrillic variant - so I could just order it. But, as I see, it's not an option. You see, I wait for my Poker II and looking for keyset for it beforehand. Is this the official site? OMG!!! Where are the mods sets? eh...seems like not all the kits are in yet? I humbly asking fellow GH-ers, what combination I need to cover my Poker II? Basic kit + modifiers? Ya, but if your Poker 2 has a ISO layout you'll need the ISO kit as well. but the price for the kits shown now is final right? Page created in 0.143 seconds with 71 queries.